One of our most popular playground markings. 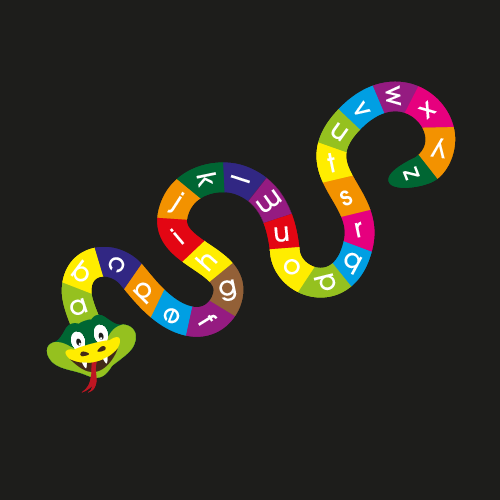 The alphabet snake is a bright and colourful design, children run along the letters up and down the snake’s body. Ideal for nursery children up to key stage one.